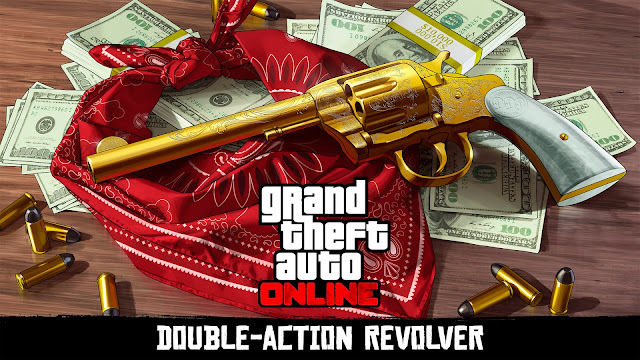 There's still some way to go for the release of Red Dead Redemption 2 but Rockstar Games are probably promoting their next game already.. and what better way to do it than using their most popular game at the moment.. The Double-Action Revolver is introduced as a current unlock for GTA Online. To unlock it, you will need to complete a 'treasure hunt' around GTA Online to find this newest weapon. Players should receive an in-game email for your first clue. Find all clues and you will receive this weapon. Anyway.. this was how I unlocked it based on the clues given to me. Not done very professionally but it's just to show you guys where exactly the clues are. Some of my friends have mentioned the first clue wasn't the same as mine so there could be a few variations. Do let me know if yours was different from mine, in the comments below, so maybe we can get an idea of how many variations there are.